This week we witnessed two rare events. The arrival of the Pope in the U.S. and the opportunity to view the blood moon on Sunday. 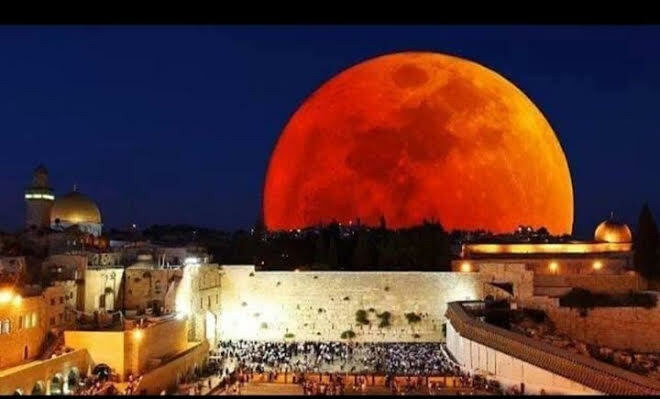 Many see the blood moons as a sign pointing to the soon return of Jesus, some believe he arrived last Tuesday addressing the crowds in a Fiat. There is nothing wrong in observing signs and events that point to that Day we all long for but, we should be careful that we do not get so caught up in observing and watching, that we forget to be about the job He has given us to do until He returns. There was much speculation about what the Pope would have to say about the issues of our day, abortion, homosexuality, global warming and the genocide occurring in the Middle East. Because he was the first Pope to do so in the history of our nation, I was especially interested in what he would have to say in his speech to Congress. The Pope spoke about personal and social responsibility, about the duty of Congress to protect, by means of the law, the image and likeness fashioned by God on every human face. He spoke about Abraham Lincoln, Martin Luther King, Dorothy Day and Thomas Merton. He spoke about the disturbing social and political situation of the world today, how our world is increasingly a place of violent conflict, hatred and brutal atrocities, committed even in the name of God and of religion, how a delicate balance is required to combat violence perpetrated in the name of a religion, an ideology or an economic system, while also safeguarding religious freedom, intellectual freedom and individual freedoms. He spoke about all these issues without addressing them specifically, or by name, managing to not offend Congress who has done little to oppose them in a meaningful way. The only issue he addressed specifically was his desire to see the death penalty abolished. “But there is another temptation which we must especially guard against: the simplistic reduction ism which sees only good or evil; or, if you will, the righteous and sinners. The contemporary world, with its open wounds which affect so many of our brothers and sisters, demands that we confront every form of polarization which would divide it into these two camps”. I believe the Pope, and I say this with all respect is absolutely wrong. “Okay, I’m gathering here that we have a pope who sees a gray area there between good and evil. There is good and evil and there’s the marginal. There’s good and evil, and there’s the, what would you call it, the maybe not okay, the maybe okay”. I believe the greatest temptation we can fail to guard against is to believe that there is no good and evil. Only moral relativism which paints everything in a tolerant shade of gray. If we hold to the teaching of the Bible we are either righteous through the blood of Jesus, cleansed from our sins, or we remain sinners separated from God by them. Good or evil, sinner or righteous. The social gospel that the Pope would have us accept, equality, saving the earth, wealth redistribution, abolishing the death penalty, confronting every form of polarization is a worthy goal and might in the short-term make the world a better place. But it would not change it. And in the long-term we would still have to confront the most basic human problem. All of the things we can do to ease the suffering, to right the wrongs, feed the hungry, house the homeless ultimately do not change what most needs to be changed. It is the heart that produces the actions that causes all the affliction and suffering in the world. Or changed, brings about great good. That is what Jesus came to do. black and white, right or wrong, good and evil.